Spice might not be a big leader in android market in India, but it always comes out with great Android devices in the market at very competitive price tag, This time Spice has came up with a low budget Android 2.3 Gingerbread based android mobile spice Mi-280 in the market. 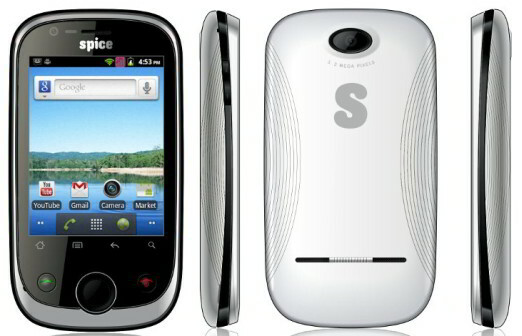 The great fact is that Spice is offering A DUAL SIM as well as a FRONT FACING CAMERA, in a cheap price tag Rs. 5,123, So far no companies in android market has been able to provide such 2 main features for any android phones around 5000 price budget. Don't expect the phone to be a very speedy one, as in 5000 buks you just get a basic android phone, but Spice is offering More then any other brand has to offer in the shelves. The great feature is that it's offering a front facing camera for video calling. which is also a rare feature in under 5000 android phone category. But the Thing which Disappoints me most is it's small sized screen I.E. just 2.8In. they could have provide a bit more like 3.2 or just 3.0 then there would be no fact it's would be a killer in it's class. other features like 1200 mAh battery, or 356 MB ram is a but obvious in this category because these things always cost more, so they should not be any point of disappointment.